Having someone break into your home is a very unnerving experience, even if you were far away from your home when it happened. An occurrence like this basically shatters your entire sense of security. You feel violated. And it is even worse if someone breaks into your home while you are there, your very life could be at risk. We could toss a bunch of statistics in your face that would give you nightmares for weeks to come. For example, a burglary takes place every 16 minutes in the United States. That is quite an unsettling statistic. But what if we told you that there are steps you can take to minimize the chances someone breaks into your home? Many homeowners make huge mistakes when it comes to protecting their homes from burglaries. You could be one of them. 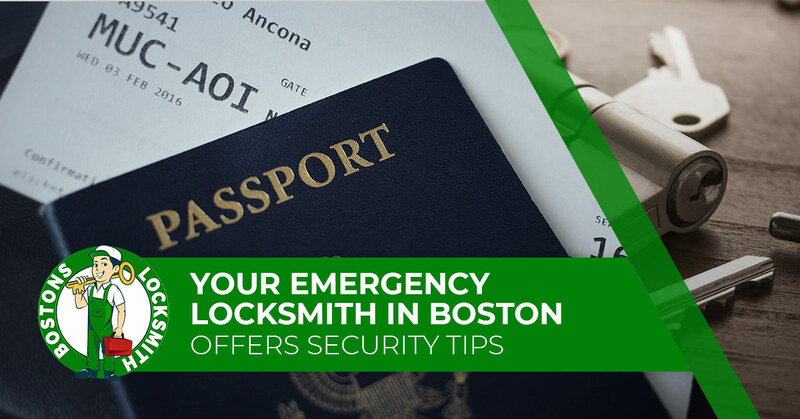 Bostons Locksmith, your emergency locksmith in Boston, offers you security mistakes that you need to avoid. Go outside and stare into any of your windows and tell us what you see. If you are staring at a valuable watch sitting on a table in front of a window, that’s not a good thing. If you can see valuables through a window, so can a thief scoping your place out. Yes, your watch is impressive, but it should be kept in a place where it is safe from prying eyes. Use discretion when deciding where to place your valuables. The time is near. You have planned a wonderful vacation to some exotic location for quite some time and you will be leaving in a few weeks. Good for you, you deserve a luxury vacation. Don’t ruin it by telling the world about it before you leave. It isn’t a good idea to announce to the Facebook or Instagram community that you will be leaving for an extended vacation. Heck, you may as well just tell any thief on Facebook that you will be in the Bahamas from February 4th through the 15th. At the very least, you should wait until you get back from vacation to post the pictures and tell the stories of your adventures. Sure, having a big dog is a deterrent and will send some thieves running, but you still need a backup plan just in case. Just because you have a dog, it doesn’t mean you can keep windows unlocked. Even with a dog, you need to be diligent about security. Some people might be afraid of your dog, but we guarantee there are others who won’t be intimidated. Listen up because we are only going to say this once; do not hide a key anywhere on your premises. You might think you are clever by hiding a key in one of those fake rocks. Well, you’re not. A thief thinks it’s a good idea for you to hide a key because it will be found to be sure. If you have any concerns about the security of your home, give Bostons Locksmith a call.